Galvanica Cedratese S.r.l. 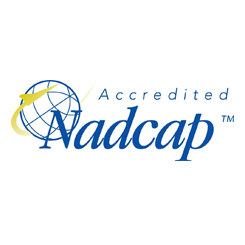 obtained the NADCAP certification for chemical processing and painting, with a Supplier Merit. We carry out galvanic processing for the Aeronautics, Aerospace, Motomotive and Food industry as well as for the industrial sector, ensuring maximum professionality and compliance with the process specifications. We also carry out protective primer treatments and topcoat, in compliance with the specifications. For the motomotive sector we carry out chemical processes that include the anodising and colouring of aluminium. This consists in covering the aluminium base metal with an oxide layer in order to protect the underlying metal from further corrosion. For the food machinery sector we carry out chemical processes that include the anodising and colouring of aluminium. For the industrial sector we carry out chemical processes that include the anodising and colouring of aluminium. Quality and efficiency are key elements. We constantly strive to improve our processing techniques and production process. 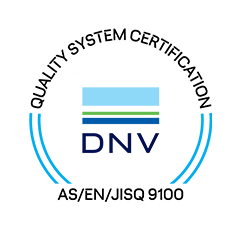 Our drive for improvement has led us to obtain important certifications and to become consolidated partners of major companies in the aeronautics, industrial and food sectors. Our processes comply with the specifications of major industries in the aeronautics and aerospace sector operating in the Lombardy region and we have also gained the main quality and process certifications. You can view and download our specifications, certifications and company brochures by simply accessing the download area. This is why quality is synonymous with transparency. Our laboratory, which has been operating from the beginning of 2016, is equipped with state-of-the-art equipment that tests the maintenance of the processes and their validation. The analyses performed include the Taber test, the salt spray chamber and various types of analysis on the water and chemicals used in the processes.